Hurry Up Jobs Seekers, Sikkim Public Service Commission, Is Recruiting Specialists In Various Subjects, So The Eligible Indian Can Apply For This Job Within 21st Of December, 2018. Kindly Do Check Out The Official Advertisement For More Information, It's Given Down Below. A. Number Of Vacancies & Name Of The Posts (ADVERTISEMENT NO: 18/SPSC/EXAM/2018). Specialists In Various Subjects →53 Online Vacancies. Total Number Of Vacancies →53 Specialist Online Vacancies. B. Eligible Criteria For SPSC New Recruitment 2018 -19. Age Limit →Should have attained the age of 21 years, but should not have exceeded 45 years as on 30/11/2018. 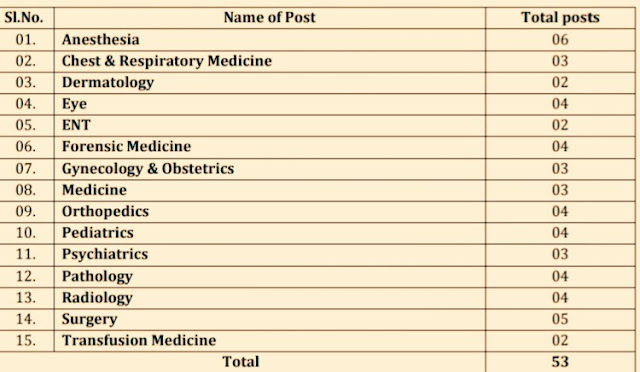 Educational Qualifications →Bachelor of Medicine and Bachelor of Surgery Degree (MBBS) Qualification: from any recognized University and completed rotatory internship of one year from a MCI recognized institution and registered with Medical Council of India or Medical Council of the State with Post Graduate Degree in Clinical, Para- Clinical and Pre-Clinical subjects. Online Application/Examination Fee →₹150 Online Payment Mode. Examination Date →For SPSC Exam Date Please Do Visit Official Website Of Theirs Below. Admit Card Download →Get SPSC Admit Card 2018, In Their Website. Result →For Sikkim Public Service Commission Recruitment Result, Visit Their Official Website Here>The Official Website For SIkkim Public Service Commission. Now Apply For This Job Advertisement Below. Do Visit Our Website For More Sikkim Public Service Commission Recruitment & Other Jobs Notification, Till Then Stay Safe And Blessed,.